This beautiful video of fluorescence microscopy was captured using the HDCAM5 microscope camera. Contact Microscope World with questions regarding fluorescence microscopy or capturing images and video of fluorescence microscopy. OE (Ophryocystis Elektroscirrha) is a protozoan parasite that infects butterflies in the Danaus species group, those that host on milkweed. This photo of some Monarch butterfly abdominal scales was taken by Rob Wood with a Canon 80D DSLR through a Richter Optica HS-2 Biological microscope, at 400X. 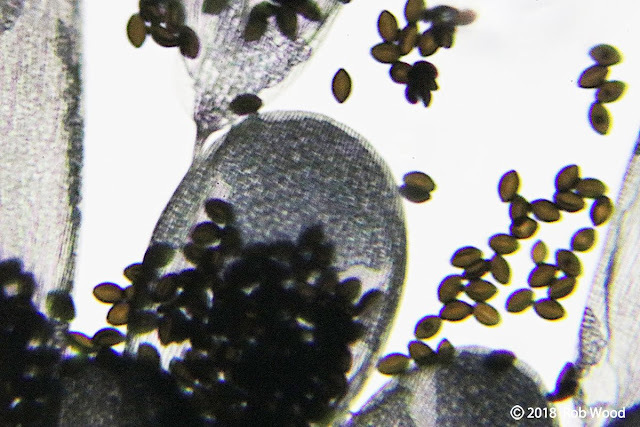 The large objects are scales, while the football-shaped objects are OE spores. Each spore contains 8 protozoa. Ophryocystis Elektroscirrha under the HS-2 microscope. Thank you Rob for sharing this photo with Microscope World!